Dateline: St. Simons Island, Georgia. I love typing those words, even though “Dateline” is extraneous. It just sounds so journalistic that I can’t resist. But what I love most is that I really am writing this column from one of my favorite places on earth. It’s been almost forty years since I first came to this island to visit George’s aunts Margaret and Sara, who lived in a decidedly un-beachy brick house near the Methodist retreat at Epworth by the Sea. Since that visit, scarcely a year has passed that we haven’t come back for a vacation. Four years ago, as we planned daughter Leigh’s St. Simons Island wedding, we made the happy discovery that September through May is considered off-season. We could book our usual beach cottage for a month for not a whole lot more than we paid for a week during the summer. Last year, I used my “alone time” on the island to work on my novel, “Half a Mile to the Dollar Store,” the first draft of which is now finished. 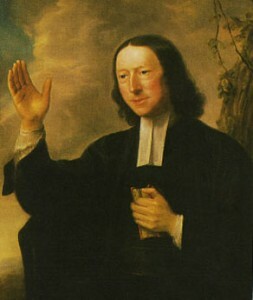 This year, I’m researching the great Methodist John Wesley, who spent two of the unhappiest years of his life here and in Savannah, for a children’s biography I plan to write. Thus far, I’ve spent my time (much of it, I confess, with my feet in the sand) reading several biographies of John Wesley and one about his longsuffering mother Susanna. Married to an Anglican rector name Samuel, who was more a dreamer than a doer and always in debt, Susanna spent most of her adult life in the dreary English village of Epworth. From 1690 through 1709, she gave birth to nineteen children, nine of whom died in infancy. John was the fifteenth child. His brother Charles, who in his lifetime would write 7,000 hymns, was born next-to-last. In 1735, John and Charles—both ordained ministers in the Church of England—accompanied General James Oglethorpe to the colony of Georgia, which had been established as a buffer against the Spanish in Florida and as a place where those in British debtors’ prisons might start a new life. Charles would serve as the general’s private secretary. John was to pastor the flock of settlers and, he hoped, serve as missionary to the Indians. Nothing worked out as the Wesley brothers had hoped. For starters, the hot, humid and bug-filled climate was exceedingly hard on them. And it turned out the Indians were largely uninterested in being converted to Christianity. Most of the English colonists weren’t all that enthusiastic about John and Charles’s rigid religious rules, either. Charles returned to England after only six months. John remained, only to have his heart broken by a lovely young woman named Sophy Hopkey. He courted her for months but never worked up the courage to ask her to marry him. Finally, Sophy—and who can blame her?–married another man. Hurt and outraged, John refused to serve Sophy communion. Things quickly got out of hand, forcing John to flee Savannah on foot in the middle of the night. He made his way to Charleston where he boarded a ship for England, never to return to the New World. Fortunately, the Wesley brothers’ departure was not the death knell for Methodism in America. But to learn the rest of the story, you might just have to read my book.